Here With Me Pinstripe Midi - Stori Anne Co.
100% Cotton. 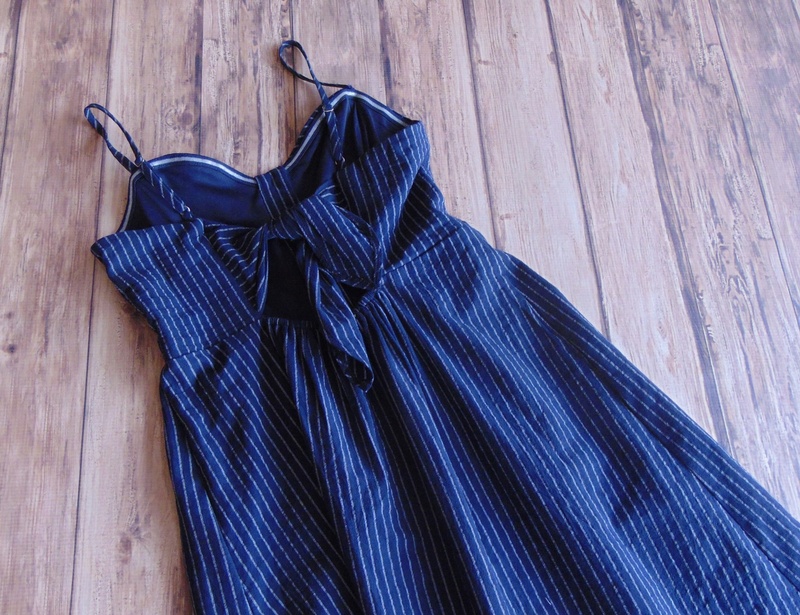 Spaghetti strap (adjustable), pinstripe, midi dress with working wooden buttons down the front. Open back with shirring and a tie for the perfect fit! A great look with some wedges and hoop earrings. Super classic!